Today it is all about outsourcing. This is like having staff but you only have to do it per job. It’s like you have a project and you outsource it to somebody who does the project and when it is done to your satisfaction, the job is done. They say thank you and then you pay them and give them a rating. Generally they do any revising to your project until you are happy because they depend on getting your five star ratings. It’s a fantastic thing. Today I am at Woburn Safari Park which is Bedfordshire in the lovely English countryside, and the reason I’m here is because I’m here with the wonderful curly haired Claire. Claire is fantastic. Claire creates my videos for me in my training courses. She’s brilliant and I’ve known her for years. Come say hello Claire! Here’s Claire. Jon: This is the first podcast by the way,where another person is on the show with me. We are like two birds of a feather. Claire: Am I standing in front of the birdy though? Now I want to encourage you to do it — to outsource. The easiest place to go is Fiverr.com where gigs tend to cost 5$, which is about 3.5 quid for us English folks. For just $5 you can get a logo done, you can get a leaflet, something written or you can get assessments of things, you can get a voice over, you can get a video edited, a photo photo-shopped all for 5$ and there’s so much more. I drove three hours to take Claire to the Safari park here. Claire has her own business and I have encouraged her to outsource She is going to tell us in her own words why she decided to outsource. So Claire, why did you outsource? What I think I’d like to share with everyone is that we have to do everything ourselves at the beginning of every small business venture, right? We have to do everything by ourselves but eventually if you don’t get out of that mindset you’re going to stunt your growth in your business. People might think that outsourcing is just having staff physically in the office or having contractors in your country but there is a whole global environment. It might be graphics, it might be just general personal assistant work but you can actually outsource and have a virtual team and all of your virtual team doesn’t have to be full time. You can start just like Jonn said and just the person you hire tiny projects and tasks. For example, I like to use Upwork. Most of the assistants I’ve had have been on Upwork to be honest which was formally Odesk. What I like to do is give them a test chart. I would recommend giving them a test task and not just trying to hire one person and going oh it didn’t work out. Try and hire three or four giving them the same or a very similar test task and then from there you usually find the star and if not then just carry on until you find one. You can give them the task periodically but just remember one person will not be able to do everything. Don’t look for a VA [a VA meaning virtual assistant] because they are not going to be able to do everything. So it’s best to find experts in their field and growing a virtual team that may not necessarily be full time or even part time but you’re basically scaling and leveraging their skills in order to grow your business. Jon: Now that is fantastic advice from the hostess’s mouth. Not that she looks like a host. Claire’s lovely of course, but the best thing is you need to start as Claire said, try experimenting if you take the pessimistic view that they won’t be much good. You may surprise yourself but remember when you first did it how good were you. But the great thing about these sites like Claire mentioned Upwork.com is you don’t pay any fees to Upwork. If you pay someone say 50$ to do a job that’s all it cost. They pay the fees to Upwork. You don’t pay anything else. You don’t have to pay to be registered or anything and you can put out a project you don’t even have to accept the bids. People bid on it but if someone is saying they design logos, then they will be a logo designer. They generally aren’t someone who has a go at everything. The people who do video editing are video experts. They generally do this as their day job. They are experts and they do it for part time money. If they’re in a another country with a different economic situation and different cost of living it can be a lot lot cheaper than it is to hire at home. I gave a job this morning before I left very early to design a report and that person is in England. I also gave another job to another one exactly the same that person is in Bangladesh. Claire: Yeah and I just hired an assistant in Macedonia and the one thing I would say is that they are human beings, so I try and treat the people that I hire with the same respect that I would expect for myself and Jon is exactly like that. He’s a lovely employer and I would hope people who study Marketing for Owners will become those type of employees too and it really does depend on the instructions and training that you give them. At least try and be as clear as possible because then you’re going to be less disappointed because they’ll know what to do. Jon: Yes — one excuse a lot of people say, oh by the time I’ve explained to someone how to do it, I may as well have done it myself but then you have to do it again and again and again. So download Jing and record a video for free and then you can park it on their screen cast server and then send the link to someone of you doing it and say please do it like this or please write out the system of me of how I do this. That’s the job. All these things. Claire: Then you put that into your own internet because you can say “Okay can you write up the checklist”, then you put that into your own internet then you never have to do it again. Just whenever someone follows the instructions just tell them if something’s happened that’s different, if you see something different on screen let me know and I’ll give you the access of that you can update the checklist. 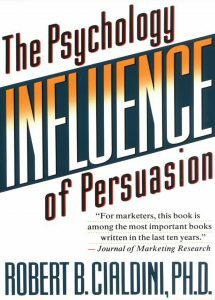 It’s Monday so it’s time for a book for the week and today this is one of the best books of all time — it’s called ‘Influence’. 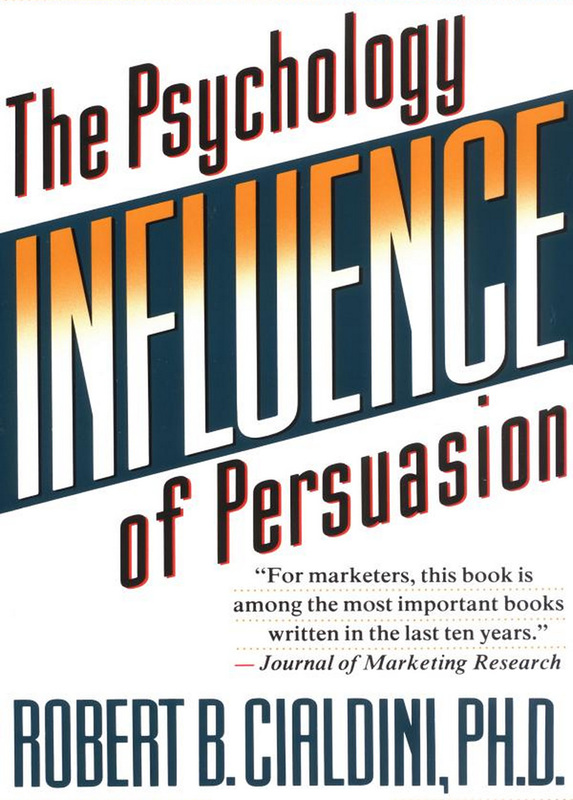 It’s by Robert Cialdini. 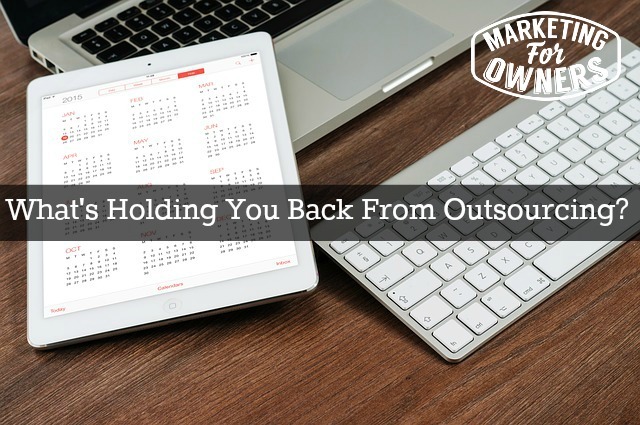 Are you outsourcing some of your tasks?